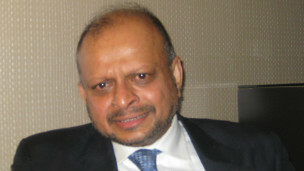 The Transnational Government of Tamil Eelam (“TGTE”) has nominated a panel of five legal experts to monitor the design and implementation of the transitional justice mechanisms in Sri Lanka, including the judicial measures to investigate and prosecute war crimes, crimes against humanity and genocide (“Monitoring Accountability Panel” or “MAP”). Following the Report of the OHCHR Investigation on Sri Lanka, dated 16 September 2015, and the UN Human Rights Council Resolution on ‘Promoting reconciliation, accountability and human rights in Sri Lanka,’ dated 1 October 2015, the Sri Lankan Government undertook to establish accountability mechanisms to address the crimes committed during the Sri Lankan armed conflict. These will include a special criminal court with foreign judges and prosecutors. The MAP shall formulate its opinions independently – irrespective of party political considerations or the agenda of any specific group (including the TGTE) – according to the interests of fair justice, applying international standards and best practices. The initial mandate of the Panel shall run from November 2015 to December 2016. Further detail of the Panel’s mandate can be found in the attached Terms of Reference. 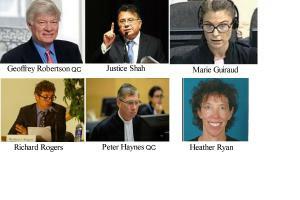 Marie Guiraud (France) Peter Haynes QC (UK) Richard J Rogers (UK) Heather Ryan (USA) Justice Ajit Prakash Shah (India) Geoffrey Robertson QC will act as a consultant to the Panel, providing additional independent advice. Marie Guiraud, a French lawyer, has worked on human rights and international criminal law for fifteen years. She is currently the Civil Party Lead Co-Lawyer for the victims at the UN-assisted Extraordinary Chambers in the Courts of Cambodia (ECCC). Representing the interests of nearly 4,000 victims who participate in Case 002/02, Marie serves as the co-lead court advocate. She has been heavily involved in the design and implementation of judicial reparations for victims of crimes under the Khmer Rouge regime. Prior to her current role, Marie worked at a major international human rights organization and then as a private lawyer in criminal litigation, both before French and foreign Courts: In France, she represented both defendants and victims in complex and serious criminal cases. Abroad, Marie represented victims of international crimes before Ivorian and Congolese Courts and was a Civil Party Lawyer in case 002/01 before the ECCC. Peter Haynes QC is a British barrister with more than 30 years’ experience in domestic and international criminal courts. He currently acts as the Lead Counsel for Jean Pierre Bemba at the International Criminal Court (ICC) and is the Lead Legal Representative of Victims at the Special Tribunal for Lebanon (STL). He is one of the very few practitioners who have led cases before the International Criminal Tribunal for the Former Yugoslavia (where he appeared for the defence of General Vinko Pandurevic in relation to the Srebrenica massacre), the ICC and the STL. He has appeared in cases involving genocide, war crimes, crimes against humanity and international terrorism. He has been responsible for development of the jurisprudence, practice and procedure of the representation of victims in international / hybrid courts. Peter regularly lectures on the functioning of international criminal courts and, in particular, victim representation. Richard Rogers, a USA (California) and UK qualified lawyer, has 20 years experience in international criminal law and human rights. He has held senior positions in the UN and OSCE: He was the OSCE’s Chief legal system monitor in post-conflict Kosovo, the Principal Defender at the UN’s Extraordinary Chambers in the Courts of Cambodia, and the head of legal support for the Appeals Chamber at the UN’s International Criminal Tribunal for Yugoslavia. Richard is currently assisting several victim groups before the International Criminal Court and has worked with national war crimes courts in Bangladesh, Bosnia and Herzegovina, Croatia, Kosovo, and Uganda. Richard has recently provided expert testimony before the US Congress House Committee on Foreign Affairs, and spoken to human rights issues before the European Parliament’s human rights committee and the Bosnian Parliament. He is a founding partner of Global Diligence LLP. Heather Ryan, a US lawyer, has been working in the field of international law for over 15 years. She is currently a special consultant for the Open Society Justice Initiative monitoring the Extraordinary Chambers of the Courts in Cambodia (ECCC), a hybrid tribunal set up to prosecute senior leaders of the Khmer Rouge Regime responsible for mass atrocities form 1975-1979. She has been involved since 2005 in evaluating and reporting on the development and implementation of the ECCC in terms of compliance with international fair trial standards, as well as the court’s effectiveness in meeting its goals with respect to the victims and public. Her experience also includes work at the Carr Center for Human Rights Policy at Harvard’s Kennedy School, Global Greengrants Fund, The Coalition for International Justice, teaching international criminal law, as well as private law practice. Justice Shah, a renowned Indian jurist, has been practicing law as an advocate and judge for around 40 years. Following his practice as a lawyer in Bombay, Justice Shah was elevated to the bench in 1992, becoming a permanent Judge of Bombay High Court in 1994. He was promoted to Chief Justice of the Madras High Court in 2005 and Chief Justice of Delhi High Court in 2008. He retired from the bench in 2010. Until August 2015, Justice Shah was the Chairman of the 20th Law Commission of India, a body established by the Indian Government to promote legal reform throughout the justice system. He was also the Chairperson of the Broadcasting Content Complaints Council, a self-regulatory body for non-news TV channels set up by the Indian Broadcasting Foundation in consultation with the Ministry of Information & Broadcasting. Geoffrey Robertson QC is founder and joint head of Doughty Street Chambers. He has had a distinguished career as a trial and appellate counsel, an international judge, and author of leading textbooks. He has argued many landmark cases in media, constitutional and criminal law, in the European Court of Justice; the European Court of Human Rights; the Supreme Court (House of Lords and Privy Council); the UN War Crimes courts; the World Bank’s International Centre for Settlement of Investment Disputes (ICSID) and in the highest courts of many commonwealth countries. mechanisms in Sri Lanka, following the end of the civil war in 2009.
and due process for suspects and accused persons. accountability, victim reparations, as well as fair trial and due process. on the willingness of stakeholders to defend them over time from the contingencies of politics. i. The mechanisms for witness protection. issue press releases and position papers as the need arises.